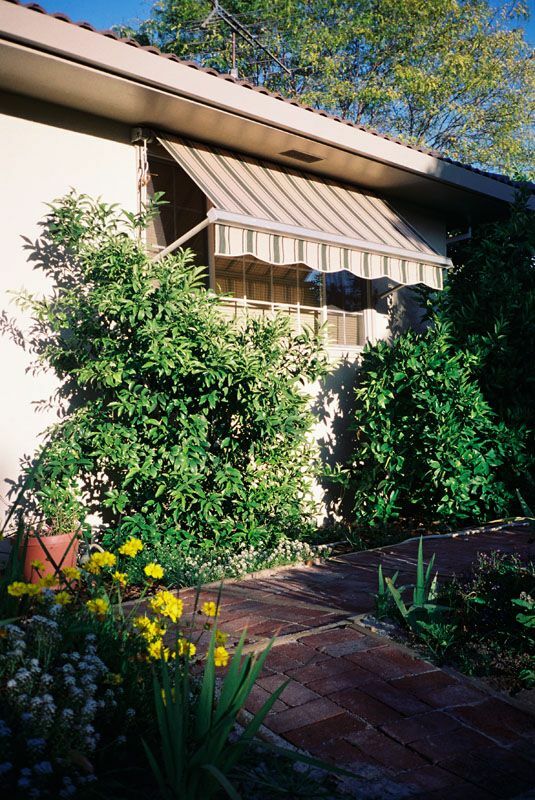 Vertical awnings roll up and down in front of doors, windows, or open patios. 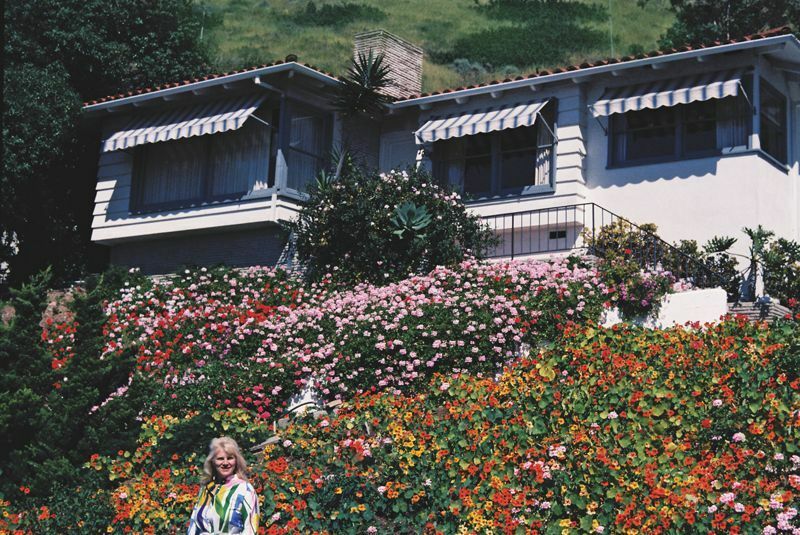 They keep sun, heat, and prying eyes away. Available in screen as well as opaque materials, you can see out but one can’t see in. 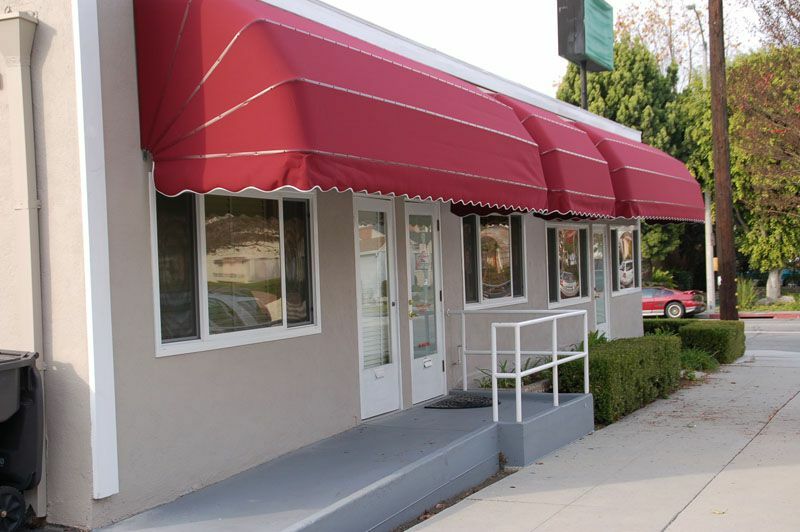 Our vertical awning installations are controlled manually or electrically from either outside or inside. 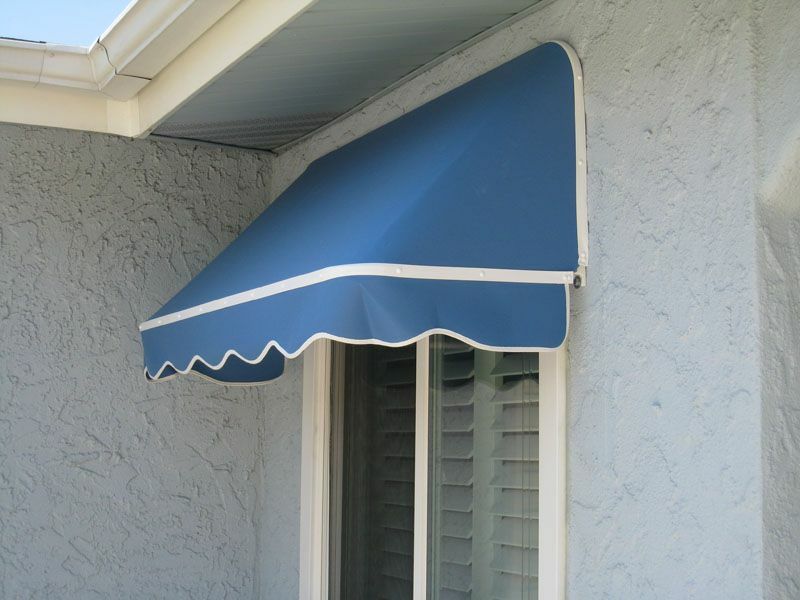 Window awnings are generally less expensive than patio awnings. 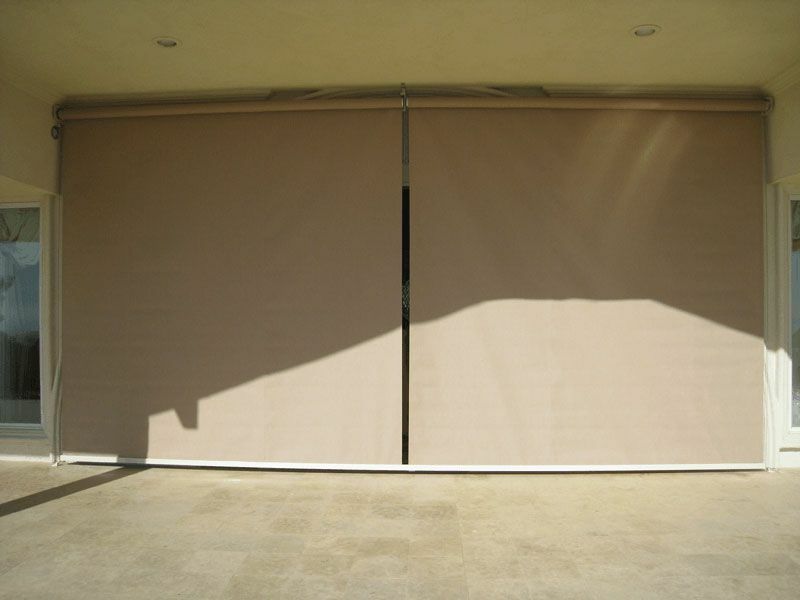 They’re ideal for shading windows while maintaining an airspace between the window and the awning. They operate manually or motorized. 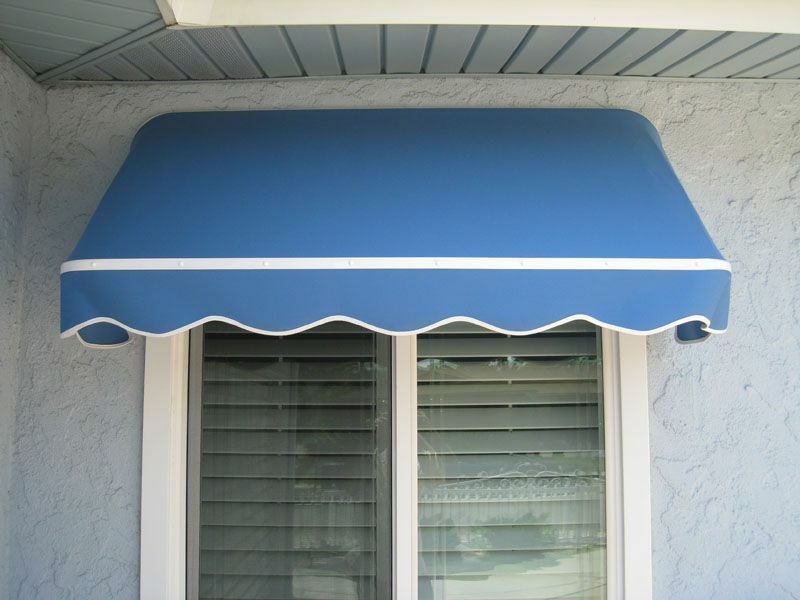 Fixed awnings (aka canopies) offer shade and rain protection over doors and windows. 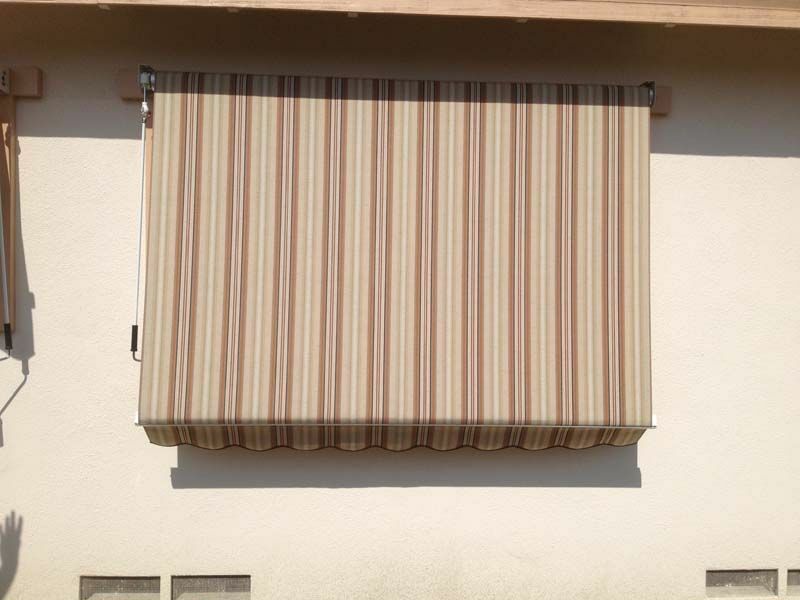 They also beautify your home and attract attention to your business. To speak with a representative about these or any of the other products we offer to our customers in Los Angeles area, just give us a call at our toll-free number or contact us online today! 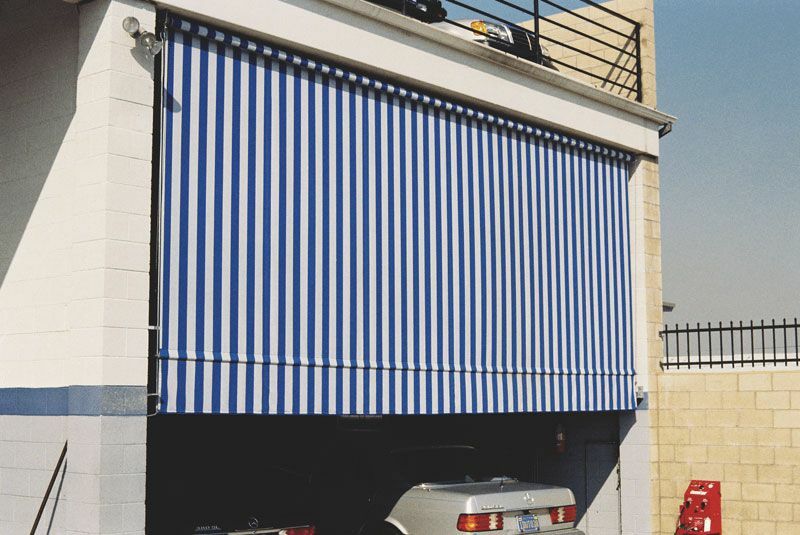 Vertical awnings are available with tracks on the side to stabilize the material in the wind and a housing at the top to preserve the material when rolled up. When retracted into the housing, hardly any material is still visible. 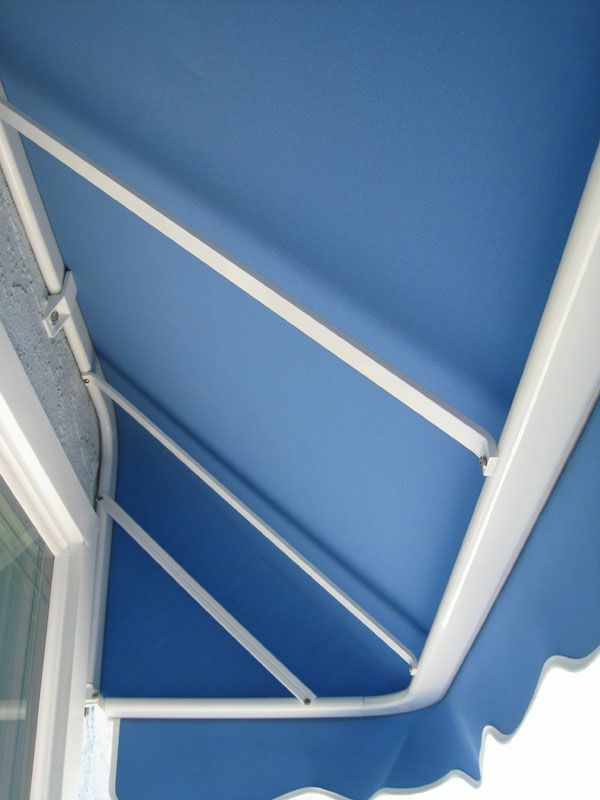 Also, the powder coated aluminum awning frame blends neatly into the door frame. 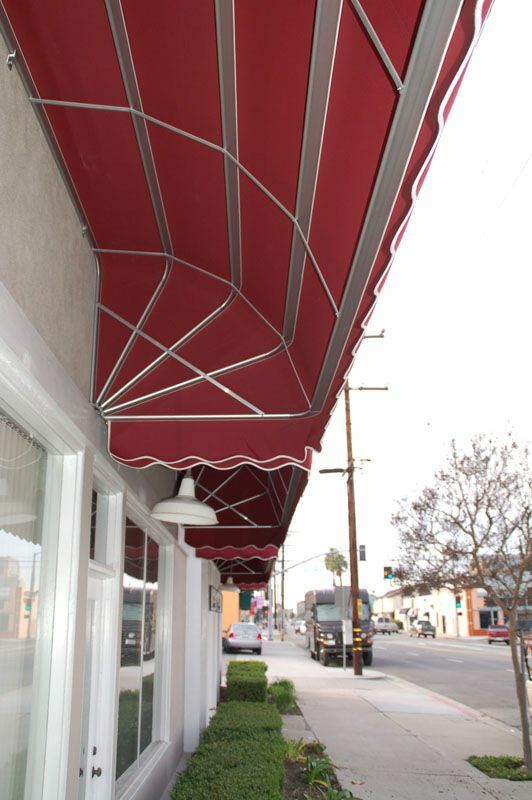 Since the awning frame circumvents the opening, only the fabric is visible from the inside. 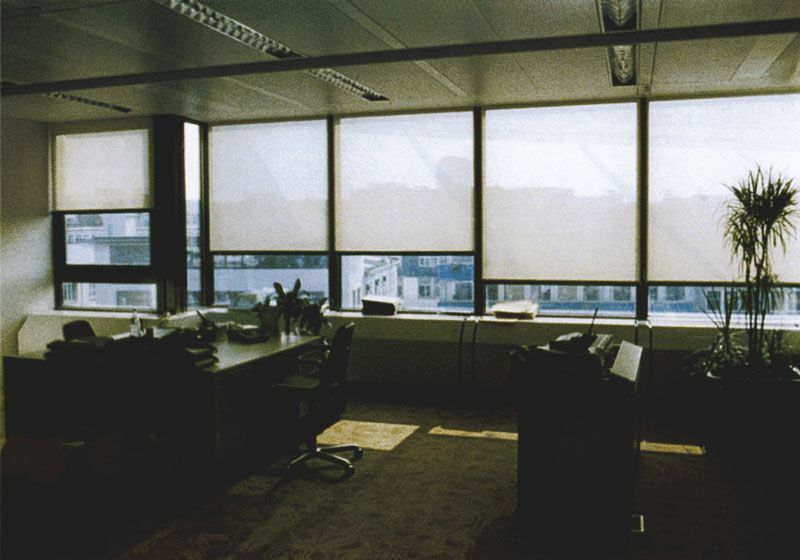 Screen fabrics allow transparency from the inside. 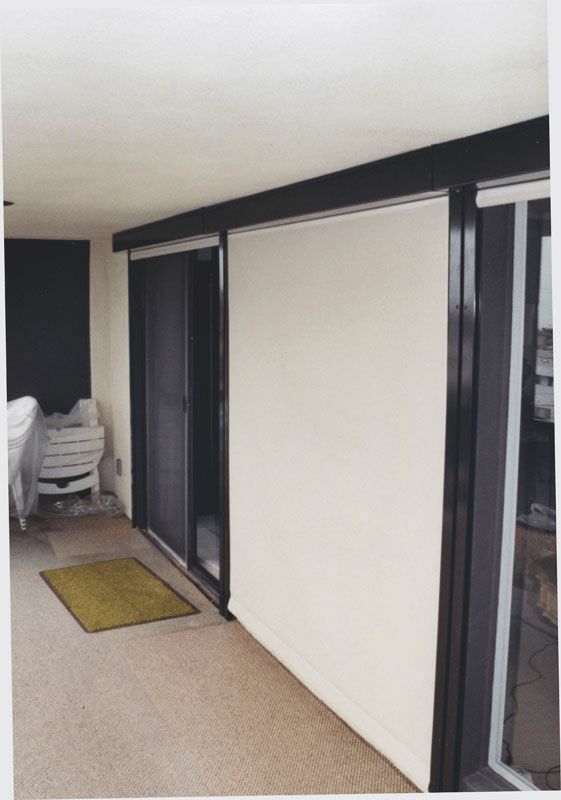 When retracted, vertical awnings take up little room at the top. 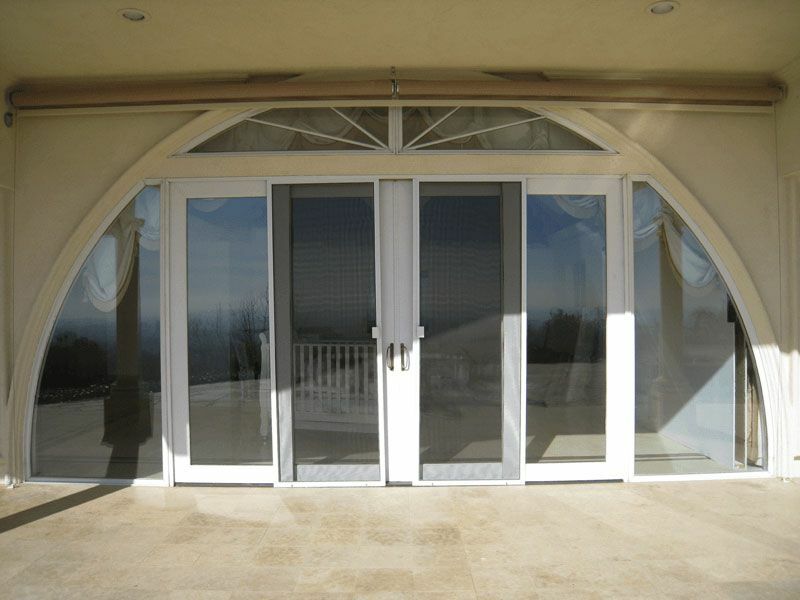 Vertical awnings are ideal for keeping the sun off even large patio doors. 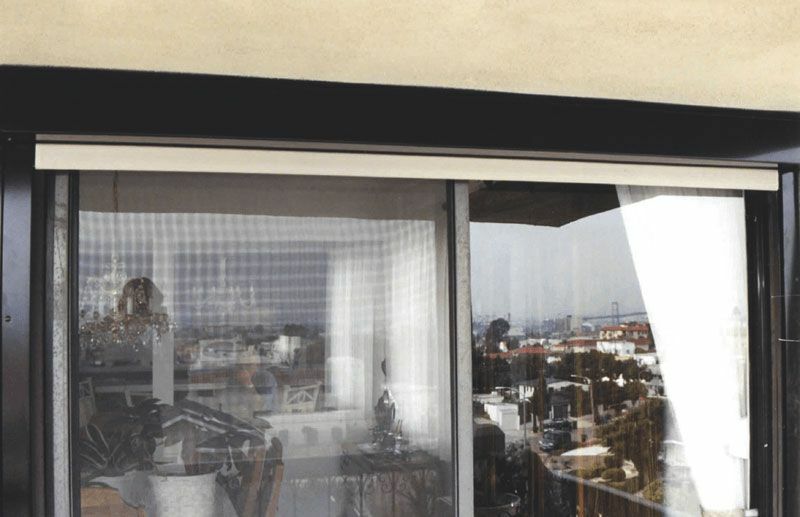 When extended, window awnings provide shade without obstructing your view. 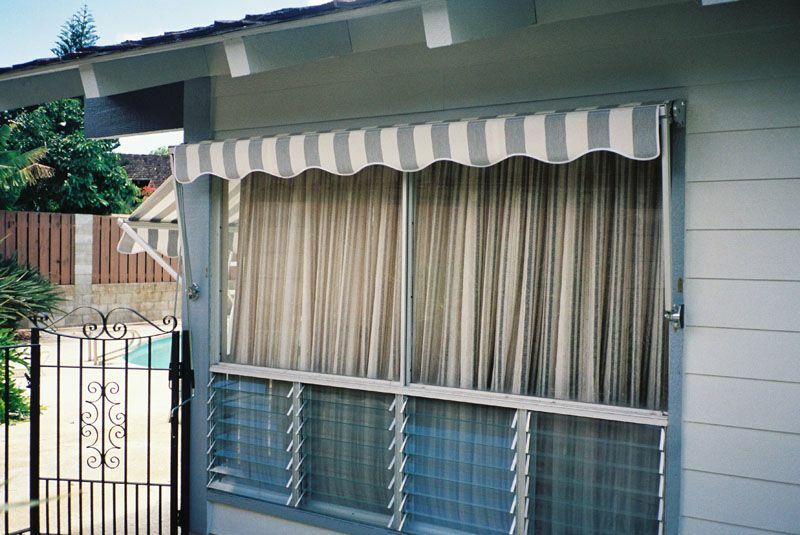 When retracted, window awnings are fairly inconspicuous as the arms fold up against the wall on the sides and the valance covers the roller. 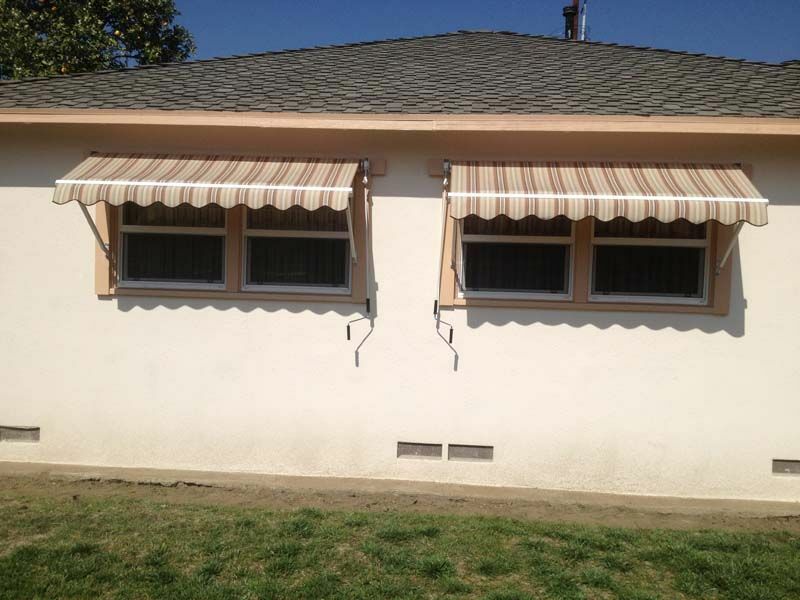 Window awnings complement each other well side by side. 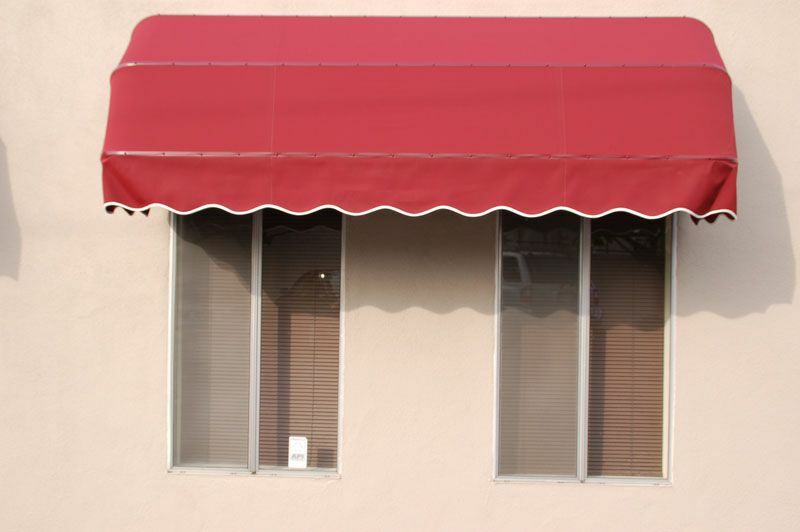 Window awnings can adjust to a near vertical position if needed. Side view of a standard triangular canopy. Underside view of a standard triangular canopy. Side view of a rounded canopy. Underside view of a rounded canopy.